One of the best looking iPhone games just happens to be one of the best looking iPad games. 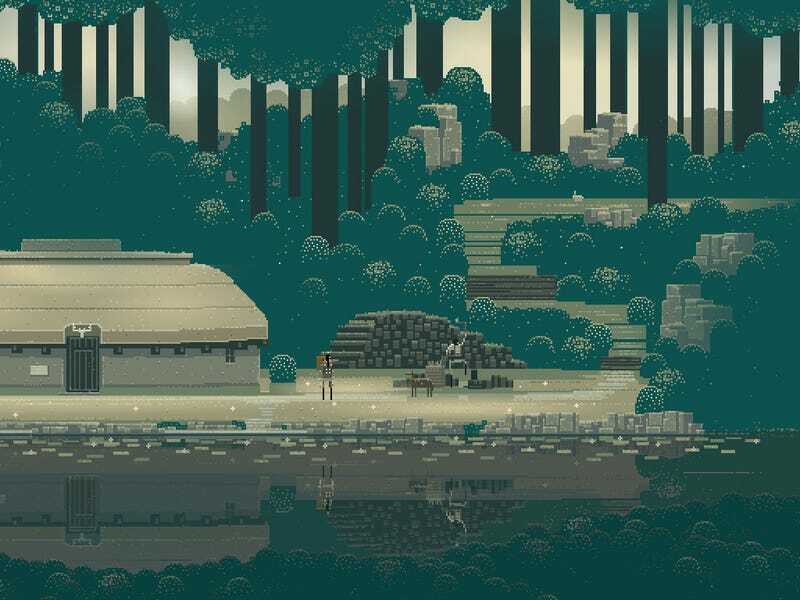 The makers of the luscious Superbrothers: Sword & Sworcery EP have given us a fresh look at the pixelated adventure in fetching iPad size. Created by artist Craig D. Adams, musician Jim Guthrie and indie developer Capybara Games, Superbrothers: Sword & Sworcery EP is an adventure game self-described as an "experiment in I/O cinema" and a "21st century update to the pioneering works of Miyamoto, Mechner & Chahi," name-checking the people who created The Legend of Zelda, Prince of Persia and Out of This World, respectively. We've already fallen in love with SB:S&S EP. Maybe a new look at the game will turn you on too?